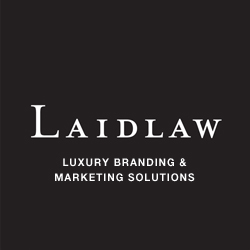 Laidlaw Group, LLC specializes in the development of integrated branding solutions for our clients’ communication needs. We provide strategic marketing, brand development, graphic design, web development, Search Engine Optimization (SEO), Social Influence Marketing (SIM) and website design services to many clients including the Fortune 500. Empowered by a depth of experience in branding, unmatched by existing advertising agencies or small consulting firms, Laidlaw Group fuses content, technology, design and innovative thinking to deliver a cutting edge approach to integrated branding projects. We combine over 25 years of proven experience with a comprehensive knowledge of Search Engine Optimization (SEO) and Social Influence Marketing (SIM) to help our clients use these tools to their advantage. Laidlaw Group develops award winning creative solutions designed to reinforce and build brands. Our solutions deliver higher awareness and increased market share for our clients. We work relentlessly to clearly define and differentiate brands in the marketplace and build brand equity for the future.